Whenever possible, the Dental & Cosmetic Solutions team prefers to help patients avoid serious dental problems entirely through focused checkups, cleanings, and other preventive services. We do so by both identifying damage and infection at the earliest stages and also providing treatment options that can protect and strengthen the smile against common threats. If it’s been more than six months since your last visit to the dentist’s office, please don’t hesitate to contact our Pepper Pike, OH location and schedule an appointment with Dr. Horokhivska or Dr. Pastouk. We recommend that you schedule an in-depth checkup and cleaning every six months, or twice each calendar year. This regular visit will give our team a valuable opportunity to review your oral health and determine if any decay or injuries have occurred in the interim. We will also eliminate plaque and tartar accumulations from the tooth surfaces during the hygiene portion of your visit, which can result in cavities if they’re left in place too long. This way, our patients can avoid costlier dental concerns down the road and save potential time and cost in the process. A patient’s molars and premolars (the back teeth) have deep chewing surfaces that are likely to attract food particles and decay-causing bacteria over time. 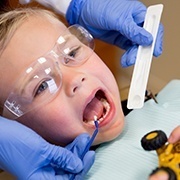 Thankfully, dental sealants are designed to protect these areas. 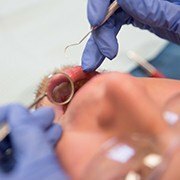 This thin, tough plastic coating is painted directly onto the tooth and hardened in place, making the surface much smoother and less likely to attract harmful substances. Our doctors typically recommend sealants for younger patients, patients who suffer from xerostomia (decreased salivation), patients who are currently undergoing orthodontic treatment, and patients who seem to have an excessive sensitivity to cavities. 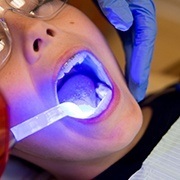 Regular exposure to fluoride during the development of a patient’s teeth has been proven to result in stronger tooth enamel and a reduced chance of tooth decay. It can also have positive effects on adult teeth later in life. 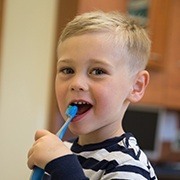 For this reason, our team strongly recommends professional fluoride treatment for children and adults alike, both here in our office and through the use of fluoridated oral hygiene products at home. If you suffer from bruxism (habitual teeth grinding), your smile can become pained and worn-down over time. What’s worse is that many patients don’t actually realize what’s happening because the condition only affects them when they’re asleep. Thankfully, our doctors can design a custom-made nightguard that works wonders in minimizing harmful contact between the rows of teeth. These outstanding appliances are comfortable, secure, and hardly noticeable as you rest peacefully. We strongly recommend that seasoned athletes protect their smiles just as well as they do their heads and knees from possible injury. 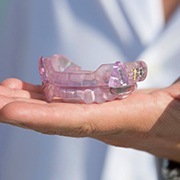 Instead of buying a “one size fits all” appliance from the local store, consider investing in a customized sportsguard from our Pepper Pike team. 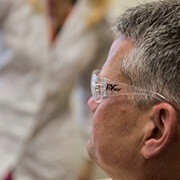 These devices are specifically created with your unique mouth in mind for optimal comfort, flexibility, and security. Oral cancer is a dangerous and even deadly health problem that often isn’t properly diagnosed until it’s reached advanced stages. At Dental & Cosmetic Solutions, our doctors take this threat seriously. We incorporate thorough screenings into our regular checkups in order to locate any suspicious signs of cancerous cells right away, such as white or red spots in the oral tissue, suspicious sores, and strange crusts and lumps. The earlier we can discover oral cancer, the higher your chances are of a successful recovery. If you’re experiencing a dental injury, don’t hesitate to reach out to our practice for fast and focused assistance. Our doctors make time for emergency cases as soon as our schedule allows for it, and we can often even see you or your loved one on the same day as your initial call for relieving care. If needed, our team can also assist you over the phone with first aid guidance. Chronic jaw pain can affect not just your oral health, but your overall quality of life. If TMJ disorder (also known as TMD) is determined to be the cause, our doctors at Dental & Cosmetic Solutions offer several possible therapy options that can restore harmony at last to your smile. Periodontal disease (also known as gum disease) is a very common oral infection that can threaten teeth and bone if it’s left untreated for too long. 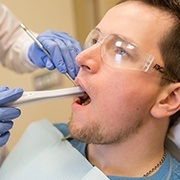 Our team will screen for this condition at every regular appointment, and our effective treatment options can eliminate harmful bacteria and restore health to the patient’s smile. We love being a family-friendly dental practice here in Pepper Pike! Our doctors welcome in patients of all ages, including children who are just starting to learn about the importance of healthy teeth and gums. 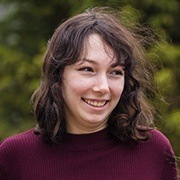 We will provide gentle, friendly care that’s well-suited to their current age, as well as helpful tips for parents about several matters that pertain to growing smiles, including diet, thumb-sucking, and more.